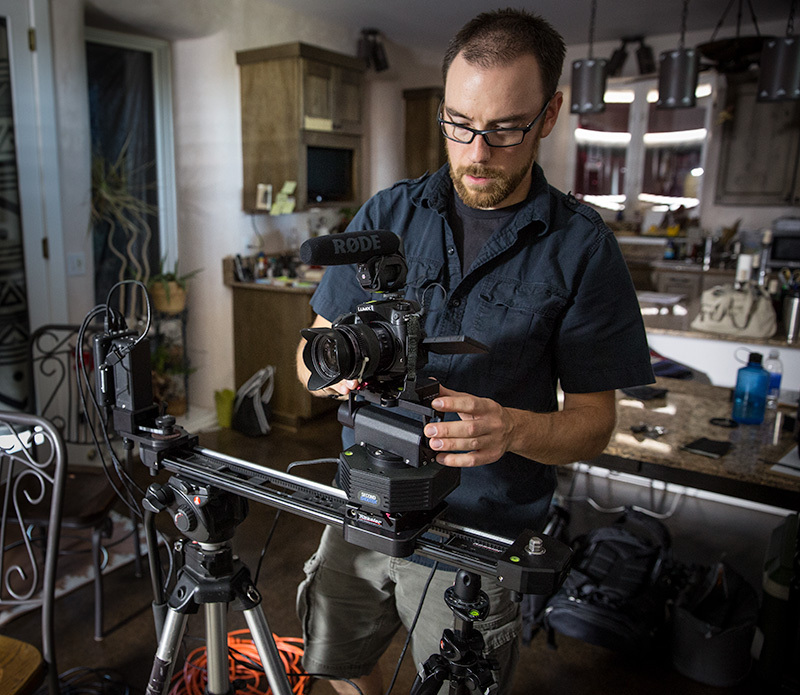 The Kessler Second Shooter is a motion control slider system, with the ability to control up to 3 axes (slide, pan, tilt) with the full setup. 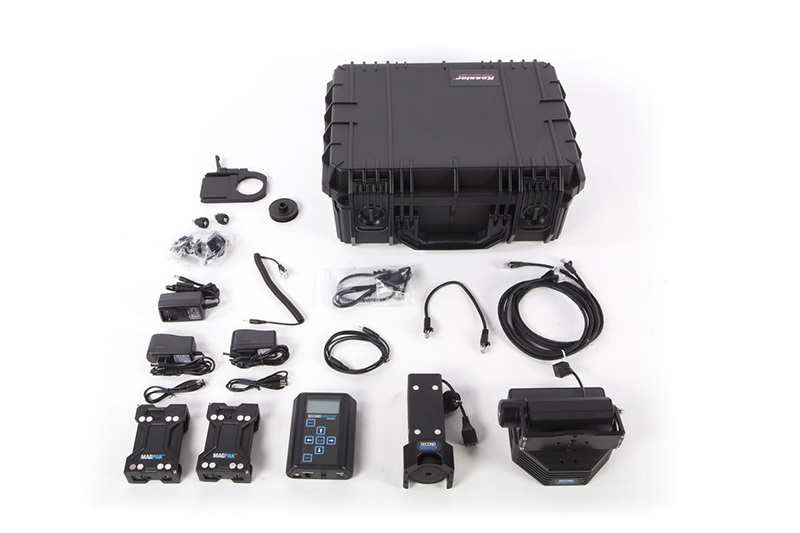 It attaches onto any of the existing Kessler sliders, and with MagPak batteries, you can perform moves that are manual, programmed, timelapse, and stop-motion, all in the field and away from power outlets. My company Wilkinson Visual was working on a pair of videos to promote tourism in Southwest Colorado, as well as a 3-part interview video for a local non-profit business, so these projects presented my team and I with the perfect opportunities to use and test the Kessler Second Shooter in a real production environment. First of all, the Second Shooter Bundle “Complete,” includes a lot of parts. It was a bit overwhelming at first, but building the kit for the first time was actually pretty easy. I’ve used the Kessler CineDrive a few times, which is sort of like the bigger brother of the Second Shooter, so my experiences with that made it easier for me to work with the components, as some are similar. Setup and teardown gets easier and quicker with practice, and with just a little bit of studying, you quickly figure out what size gears you need for what– which is good because the informational material online for the Second Shooter I felt was a little lacking. Their video features are scattered, and the manual itself could be a bit better. It’s great for going through menu settings, but when it came to the physical setup and pulley sizes, I found it to not tell me the information I was looking for. It’s a good thing that the controller and setup was so intuitive, otherwise I would have had a hard time on the first few setups! I set it up once at home, doing manual moves, just plugged into AC power and freaking the dog out. Each axis made a fair amount of noise during these manual moves, so I was apprehensive at first about using it during an interview session. Once I set up a programmed move though, it ran whisper quiet! Awesome. The following morning my buddy Jakob and I took it out for a timelapse. All of the kit we needed to bring to pull this off added up fast. Driving right to the location would have been fine, but we had about a mile hike, mostly uphill, to get to a good vantage point on private property. 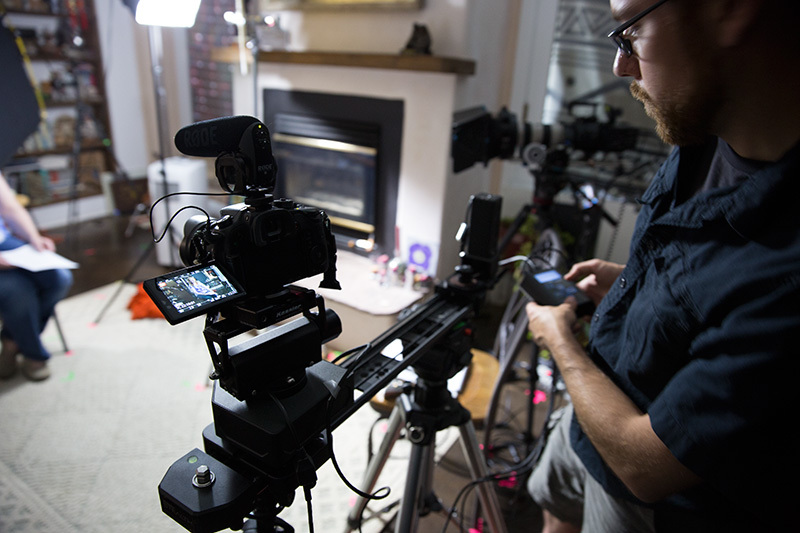 Two tripods, the weighty head unit, batteries, slider motor, slider, cameras and lenses made up our kit. I set up a static timelapse on a separate tripod as a safety shot, just in case I couldn’t get the Second Shooter working. The so-so experiences with the CineDrive and the older Oracle controller have taught me to have a backup plan, but in any case I was hopeful that the Second Shooter might be a bit easier and intuitive than both of those. And you know what? It was! I was pleasantly surprised at how easy it was to setup and run a 3-axis timelapse move! Getting the slider mounted onto two tripods on a hill was the trickiest part, but once that was balanced out, we plugged everything together and ran a few test moves to check the weight bearing as well as the frame options. I found this out later, but the Second Shooter can actually control 6-axes when two controllers are linked via “Bridge Mode” via an update that occurred after I already took the Second Shooter out for testing. You can learn more about that feature here. One thing in particular that I liked about this kit were the batteries. I don’t know how, but they are actually compact and lightweight– WAY smaller than the battery pack needed for the CineDrive. Big thumbs up for that. They connect magnetically to the slider motor mount, and then the controller magnetizes itself to the battery. Pretty sweet. While that particular timelapse didn’t turn out so great, we returned to the location a few nights later for a starlapse. After running all night, the battery was only around 50% when I was done. You can see the timelapse at 1:24 of the video below. It’s too bad we got some pretty bad flaring in the camera lens– there was a bright gas station in the center of town that absolutely ruined the original move we were planning to do. We set it up looking more east than originally planned, but the client still liked it. Here’s a still frame from a timelapse we ran facing the other direction, again just as a safety shot. 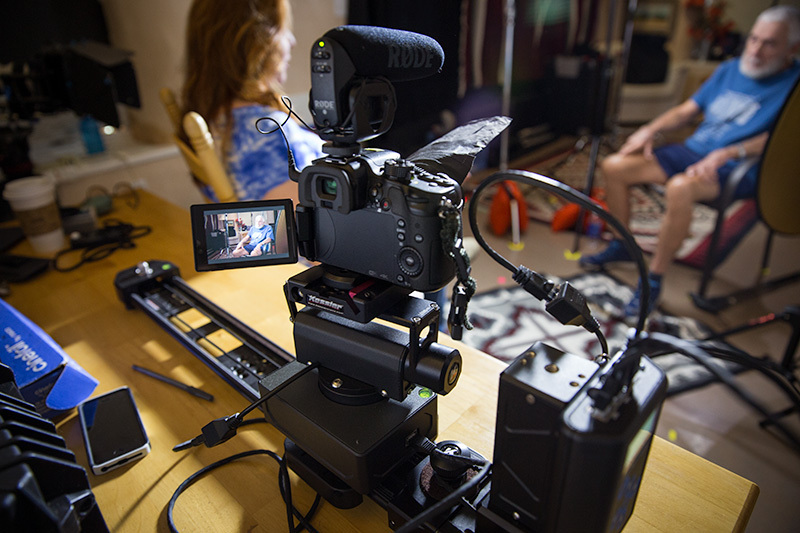 The Second Shooter can plug directly into a camera’s remote port, in this case it was a 5DmIII, so we were able to set up a shoot-move-shoot control, and even set parameters for photos to be taken both before and after the programmed move. Even though I used the Second Shooter for timelapses first, my primary purpose for having this kit was to use it as a second camera angle for a series of interviews. 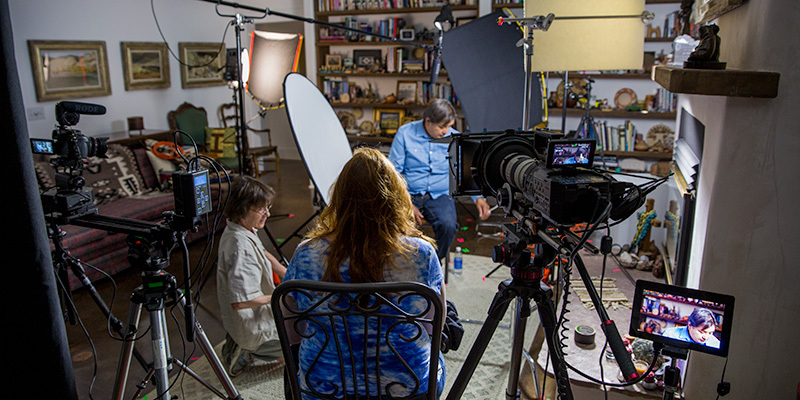 A local non-profit business needed to shoot 4 interviews over 2 days, so I had lined up a small team to make that happen, with the Second Shooter running the B-camera. The second angle was a safety shot, and will likely end up as only one or two quick cuts in the final edit, but it was nice to have a backup just in case something went wrong with our A-camera videos. Mounted with a GH4, I set the Second Shooter’s controller to a programmed move that would do a full slide and a short pan, to create a subtle orbit effect. I set it to “loop” and then it ran on its own for the duration of the interview, while making hardly any noise. In this short excerpt below, you’ll see the A-camera angle, and then it cuts to the B-camera on the Second Shooter. Speaking of the controller, I’m kind of torn as to whether or not I like it. With just a simple set of buttons and very basic display screen, it feels a bit dated. Don’t get me wrong, it was actually much easier to use than the Kessler KoS app for the CineDrive, and so intuitive that I never had to reference the manual when operating the controller. I just think that for a motion control system where you’re dropping some dough, you might get something a bit more visually appealing. I’m probably just spoiled from iPads and really good looking, free, functional apps for my phone, so this is just me being picky about aesthetics. 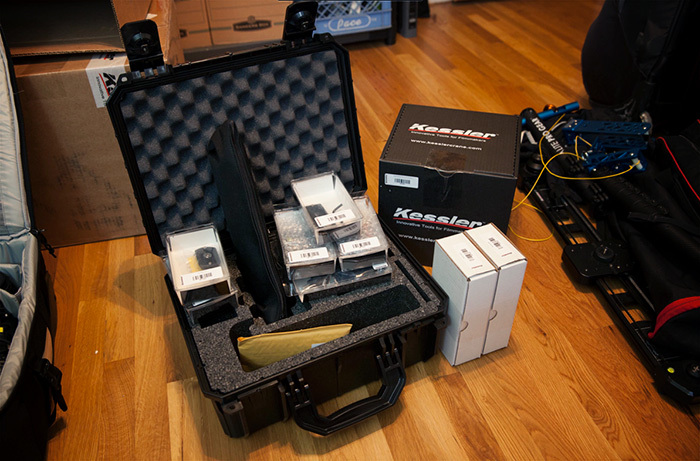 A little bird did tell me that Kessler is working on a wifi solution that will allow the Second Shooter to be controlled and programmed via the KoS app. No word on what kind of physical product or price that might come in at, but it is under development. So back to the video shoot– Again, the noise wasn’t noticeable. I can’t the same for the Edelkrone or the Red Rock Micro One Man Crew, where with those if you get too close to the mics, you can totally hear the motor noise. One thing I did keep an eye on were the control cables– they dangle and coil a little bit, so I was worried they might catch on part of a tripod or snag somewhere. I ended up just using a little gaffer’s tape to secure the direction of the cables to keep them in check. 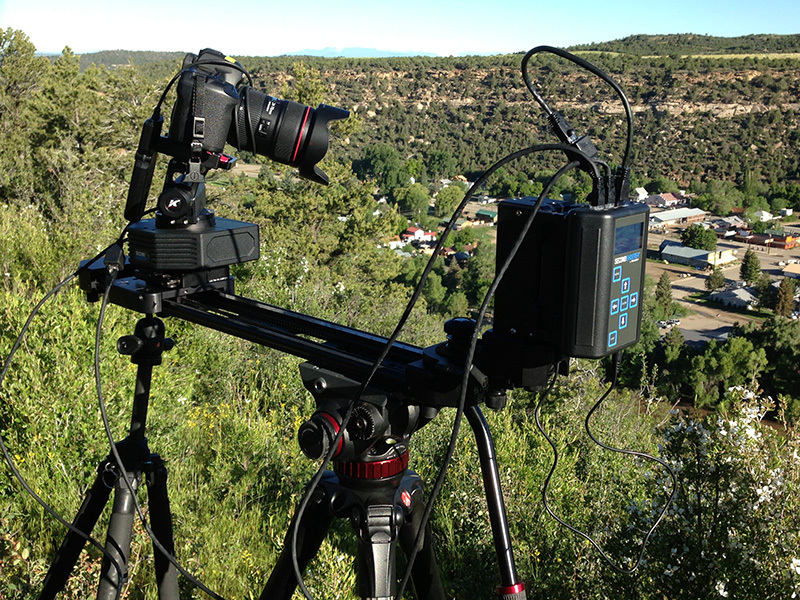 The Kessler Second Shooter is an awesome kit for timelapse photographers who are looking for easy to setup, reliable, repeatable, motion timelapses. It’s also a slick piece of kit for a second angle on video shoots, proving a quiet, looping, motion to interview shots. 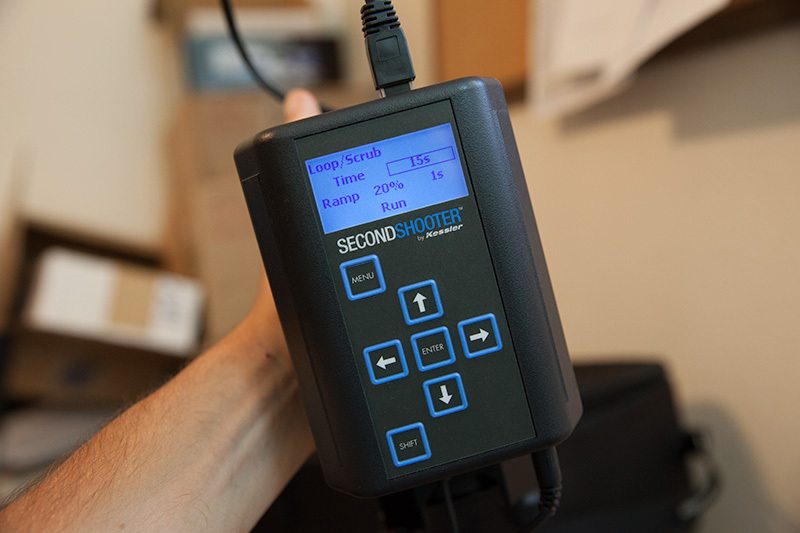 If you plan to pick up a Second Shooter, Kessler has recently released a starter guide on their website which will be hugely helpful for new owners. We give the Kessler Second Shooter four out of five stars for being a fantastic solution for motion control moves for both timelapses and video shoots. Thanks to Jakob Skogheim and Jennifer Meunier for the BTS photos!